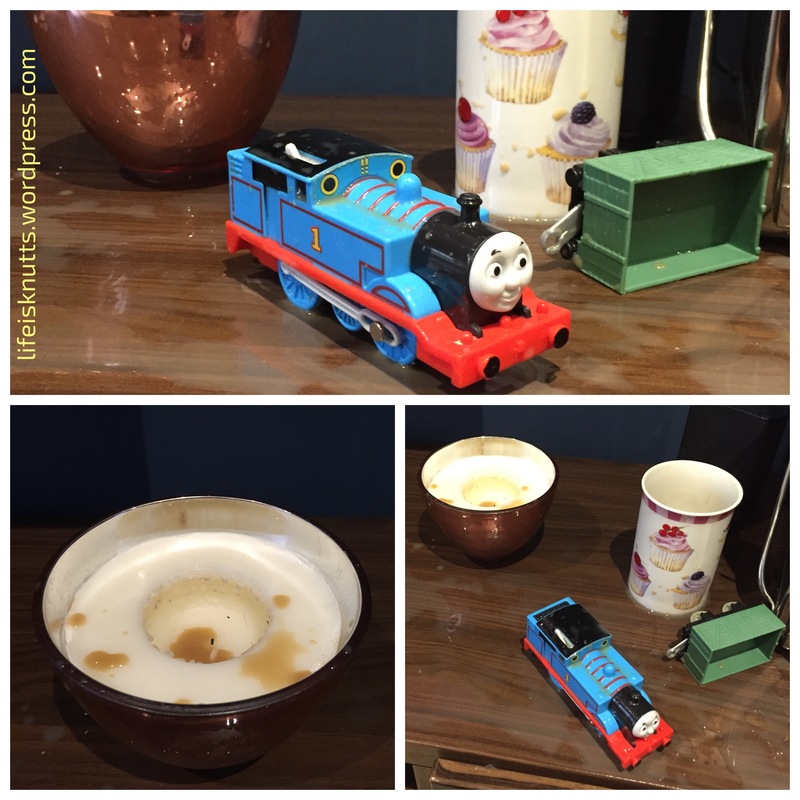 Thomas and Friends, Episode 6467: The Great Flood of Old Coffee Town. Synopsis: Thomas and his Freight carriage are swept through Old Coffee Town in a frightening torrent causing much confusion and delay. I did try and make him clean it up, but that didn’t go too well either and I had to stop filming when he started stuffing the tissue in the coffee too… (excuse Mr Tumble in the background, if we don’t see him at least once each day, we have meltdown central).